Farha Mohamed teaches an MSON class in Arabic. 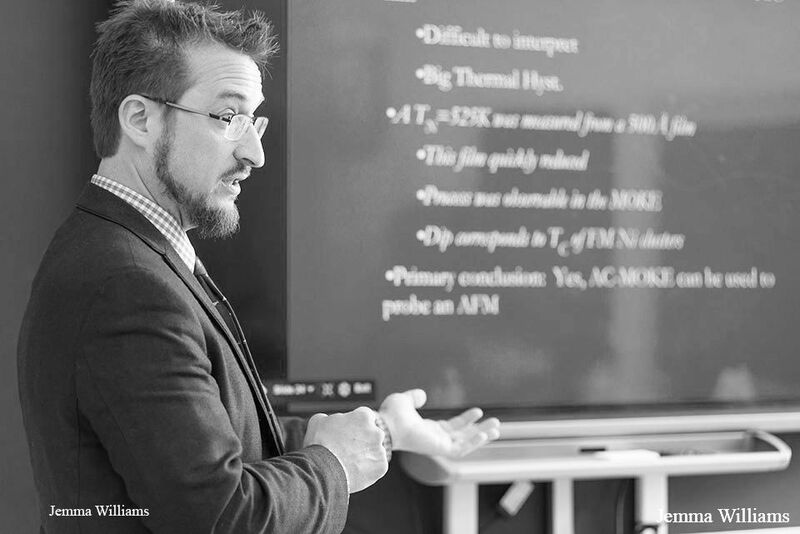 Ben Taylor, Director of Academic Technology, advocates for flipped classrooms. Flipped classrooms and the integration of technology into lessons have been part of an ongoing implementation at Hopkins. Technology never stops improv- ing and changing, and in order for students to be able to access the content from home, teachers make materials, such as handouts and review sheets, accessible online through Google Classroom. Here on The Hill, faculty members are doing their best to push Hopkins into the future, and improve the way teachers teach and students learn. 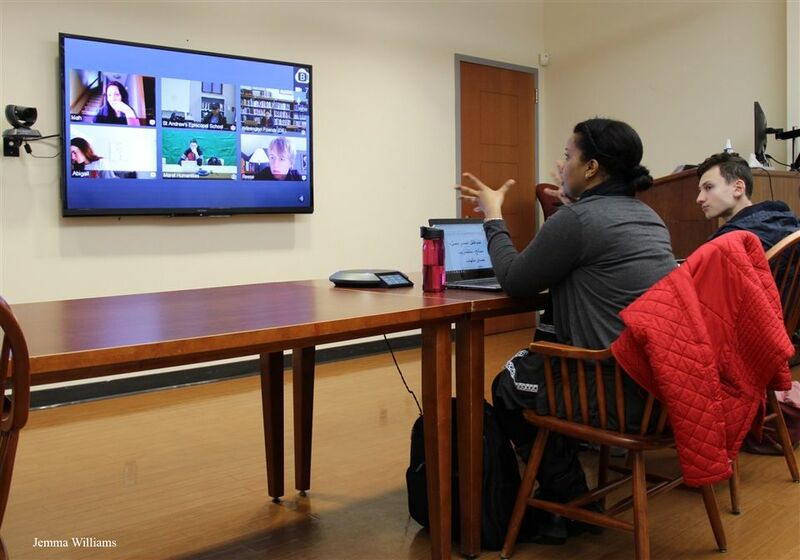 In the past few years, Hopkins has begun to take steps to further the integration of technology in the classroom. This year, a tech team has been assembled, consisting of a Director of Technology, D.J. Plante, a Director of Academic Technology, Benjamin Taylor, and a Director of Innovation in Technology, Lisa Lamont. Taylor said, “The goal of my position and the new position of Lamont is to really look at what is out there, find out what is useful for education and what fits this community, how do we employ it, and how do we support people who want to learn how to use it.” He also explained that his job also consists of being the Dean of Instruction for the Malone School Online Network, where teachers work with colleagues across the country in classes that are exclusively technology based. When Jeannine Minort-Kale, Head of the Math Department, first arrived at Hopkins three years ago, she said, “We were using a disproportionate amount of class time to talk about the theorems themselves, in a way that left us very little time to work on the proofs. Students were struggling with the harder part at home, without me. This wasn’t doing a great thing for homework completion, or building understanding.” Soon after, Minort-Kale introduced the concept of a flipped classroom to geometry courses, a concept she carried from past teaching experiences. In this situation,having a flipped classroom meant that Minort-Kale would post resources for the students to watch an instructional video before class in place of a lecture during class. The flipped classroom was not always as successful it is today. “The first couple times I did it, I wouldn’t say it was a complete failure, but there was no accountability for it,” said Minort-Kale. In other words, students needed another way to retain the information other than passively watching the videos. than grading thousands of problems and handing them back. He also added that “although recording materials for your first year of flipping the classroom is a lot of work, it ultimately pays off and saves time. Now that almost all my class days are used for the teaching of skills, I save almost fifteen skill days that I would’ve had to include anyway.” This then creates easier pathways to project-centered learning, self-pacing, and mastery-based grading. Taylor also pointed out that English classes have been flipped for hundreds of years: “You read the book at home, you come in and have creative discussions, and can even write in the presence of your teacher. I think this is fantastic, but even more disciplines should take advantage of this.” Typically, Math and Science are the common subjects for the flipped classroom; but Foreign Languages, History, and English are not far behind. Many teachers incorporate in-class skill building by using methods other than the flipped classroom and lecturing. Spanish teacher Christopher Kozey said, “Exploration activities are for things that students have not seen yet. It is weighted as or more heavily than the practice activities, but are graded for completion. The idea is that exploring something at home before you get into the class will give you the opportunity to engage critically with something.” Kozey’s method, similar to Minort-Kale’s, is one that requires students to constantly be aware of what they will learn the next class. Although English is a literature-heavy class, flipped classroom and technology apply to the English courses and “allows teachers to use time beyond the block schedule to interact with students and share materi- als. In addition to providing online extra help, technology allows English teachers to post readings, workshop writing, and connect students to web grammar instruction,” said English instructor and Razor adviser Canny Cahn. The flipped classroom has also made its way into the History Department. History teacher Tisha Hooks said, “We’re all interested in incorporating technology in a way that’s targeted and useful, but many of us in the History Department also strive to do more projects and have students interact with the material in ways that don’t involve technology as well.” She encourages students to use the available databases in which primary sources and older documents have become accessible on in recent years. Although flipping the classroom is viewed as a better model for a classroom, it is not always effective for every student. “It is a double-edged sword. Doing something flashy for the sake of it being flashy is not in our best interest. Technology integration is important, but it should continuously connect to what we are trying to do,” said Minort-Kale. Finding balance is vital. Hopkins is known for its long, rich past, “so we want to advance ourselves without treading too heavily on our storied traditional culture,” added Taylor.